Discussion in 'Others' started by kzozee, Dec 18, 2009. Can you tell me someone what is the different between AR5 and AR5s Ripley rifles? Thank you, so no many differents. 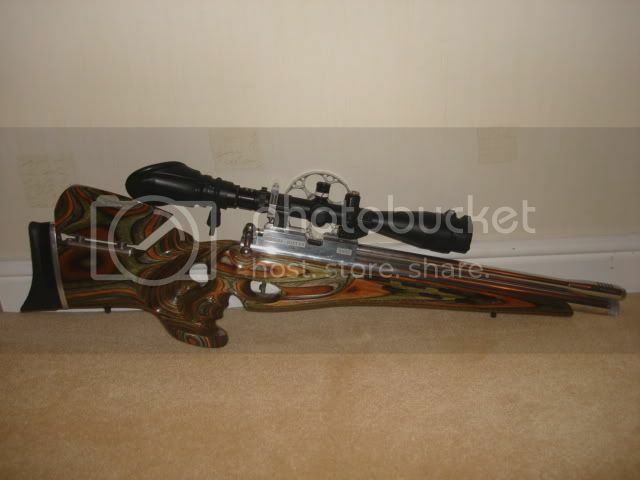 Ive got a fanastic AR4, I have owned it 3 times now!, i bought it, sold it, regretted and bought it back twice! its here to stay now. I also have an AR5S, that is also fantastic, my main observations are the 5 is a beefed up version of the 4, everything is chunkier, they shoot very similar though and accuracy of both is spot on. There are different versions of the ar4, steel and alloy. I hope you grab Hungary to the Words. For presentation of his predecessor. Long time no hear from you. Merry Christmas! 5, Name are not engraved on trigger block. PS I own both the AR5 is now 12 yrs old (last week) and still going on strong. Yes I seen, thank you. It may not be too good of words in the question, sorry. or something like that, what I need to know if I want to keep the conditions for many years. Servicing - Steve did mine about 4 years ago. Only send it back when its not working. AR4 & AR5 Some Pics please ??? Cam someone post 2 threads of 5 pics for each rifle (as max pics is 5 pics per message). 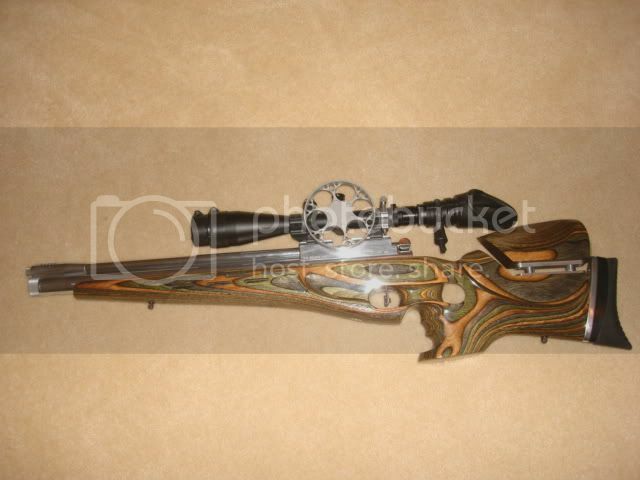 Have Googled to no end, and have never come across satisfactory clear pics of Ripleys airguns. Thanks for the Pics ! How do you rate them ? Thanks for the pics. guys ! d. fine tuning power/velocity ? or do they need to go back to Ripleys workshop for service ? What is the shot count for 12lb/ft for .177 ? Rating the action, barrel accuracy versus AA, Walther, Anschutz & Fein., I gather It can hold its head 'high', but on the downside, what are its weak points for both AR4 & AR5 , from a finish, and general objective criticsm ? Idea on 2009/2010 prices ? just for action, and with stock. Whats the deal with the silver polished & non anondised version ? is it an option or home done ? The more info. & critique (pros & cons), the better ! Waht is this type called ? 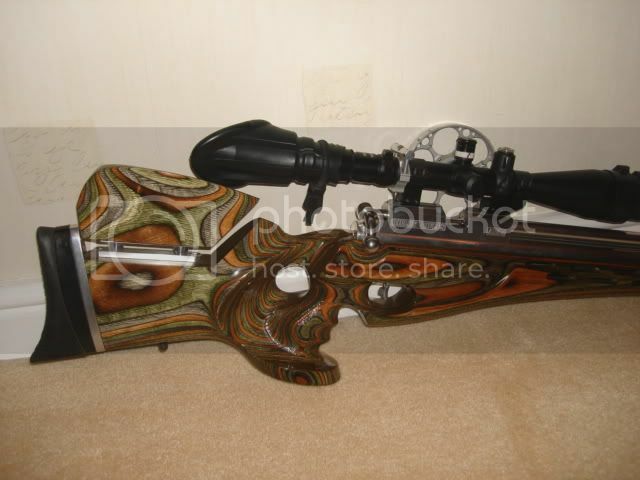 I noticed on some brand of guns (eg: Logun Axsor, some old BSA etc..), that an action sits on a full length air cylinder. There must be engineering pros & cons, as well as saving costs from a manufacturer perspective. Can someone shed some light ? Is there a specific name or term when the bolt & action sits on a full length air cylinder ? When I first started my airgun PCP collection 3 years ago, my first instinct (incorrectly) was to judge this as a 'cheap' way to manufacture an air rifle...so Iavoided adding these guns to the collection. OR, is it purely a subjective thing...ie: some pleople like or dont like the full length cylinder, with the action 'plonked' on top ? ?